The death of Nelson Mandela, the South African freedom fighter who became the nation’s first black president, hit home for Harold Rogers. From the 1970s through the early 1990s, the Chicago scholar and activist was the Midwest representative for the African National Congress. For years, the ANC was outlawed in South Africa because it opposed the white minority regime that oppressed the country’s black majority. Rogers and Mandela first met after the South African leader was released from prison after 27 years. 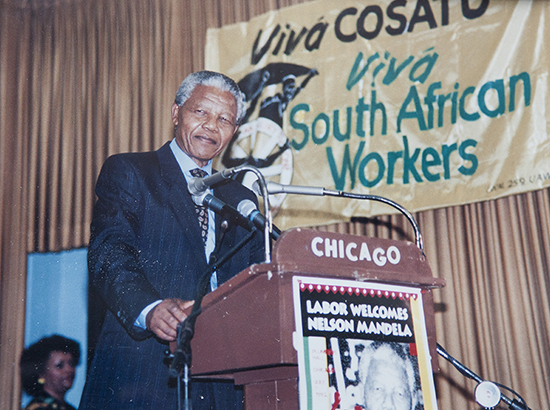 The two shared many memories, and Rogers organized Mandela’s trip to Chicago in 1993. The Reporter sat down with Rogers at his South Shore home to discuss Mandela’s legacy and the ANC. You met members of the ANC [in 1969] in Tanzania while you were teaching there. Why did you decide to become involved with the organization? And what did this involvement mean when you came back here? I was asked to set up a Midwest [chapter], mainly to raise funds and to promote what the anti- apartheid struggle was about. That’s how I initially got involved in the early 1970s. When you came back [from Tanzania] and started this support group for the ANC, how were you able to connect the struggles here with the struggles in South Africa? At that time, there were several things going on. It was the end of the civil rights movement in the late 1960s, and the middle of the Vietnam war, so you had a lot of activism … You had a lot of governments supporting liberation fights around the world. So the first question was one of education, particularly about South Africa. You had a group of people who were already involved in something, the anti-war movement and civil rights. Several main groups had long come out in support of the anti-apartheid movement. You can go back to the NAACP and its original founding in 1910. Not much activity was done, but the founding of the ANC was pretty much like the founding of the NAACP—working within a system. [Also] the Black Panthers were active in Africa, particularly in Algeria … Then a number of filmmakers, mainly Europeans, were making apartheid films and distributing them here in the ’70s. That added to the education of what the apartheid system was. What would you say connected black activists in Chicago to the struggles in South Africa? First, there were the churches. Trinity United Church of Christ, under Jeremiah Wright, was the first church with a sign outside saying “Free South Africa.” That was the first real black church that talked about the anti-apartheid struggle. And you had other educational groups. … There were a lot of black leftist groups; Angela Davis helped a lot in this. … But it wasn’t until the ’80s that you get an explosion, not [just] in the black community. In the ’80s, you had the start of many movements. You had the movement of athletes. It came from John Carlos and the incident in Mexico and the  Olympics. [Anti-apartheid protests by athletes] was a big movement, not playing South Africa in any kind of sports in the world arena. You had the Free South Africa Movement, which participated in the sit-ins at the [South African] embassy; people were arrested. … The big thing was the sanctions act. In 1986, Congress passed a bill … [President Ronald] Reagan vetoed it, and [his veto] was overruled. What was Mandela’s impression of Chicago during his tour of the city in the ’90s? Was he aware of the social and racial inequalities? His first trip was in July 1990, which was part of a tour to thank the world for the anti-apartheid movement. It was a tour of 11 cities. Even before he came, the ANC was fully aware of the racial conditions in this country. He was totally informed. I remember a time he was in the White House during the first visit, it was Mandela and [President George H.W.] Bush. We were sitting out there on the lawn and Bush asked Mandela “Will you renounce violence? 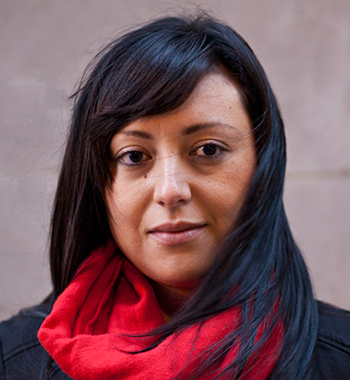 And if you renounce violence we may be able to support sanctions.” Mandela turned to him and said, “Mr. President, I’ve come here to give you a proper education.” It was just like that; Bush didn’t know what to say. That was 1990. In 1993, [Mandela] had a two-and-a-half-day trip [to Chicago]. I had organized six events for fundraising. He knew about Chicago because Chicago played a central role in the anti-apartheid struggle. What did he say about Chicago? to the Field Museum. He looked at this city and said, “This city is nothing but money.” I said, “What do you mean?” He said, “There’s nothing but money in this city.” I thought it was interesting that he made that comment. What do you think Mandela’s legacy is going to be? I think this was left out of the TV commentaries. Mandela was a revolutionary. He was leading a revolutionary organization to seize power. That’s kind of sanitized now. He was some humanitarian, some icon. But the ANC was a revolutionary organization, and it didn’t get to the point of negotiation until the ’90s when it was obvious that the apartheid government could no longer govern. But that came through force; it didn’t come about through a civil rights kind of thing. What kind of coverage of his life are you seeing in the media? And what’s missing? It’s a short cycle … something that sells. Now, you’re a member of a communist group, a revolutionary. You don’t want to promote that. You want to promote that [he] was a kind old man. … I mean, he was on the terrorist group list made by the U.S. government until 2008. He had to have special permission to come to the U.S. That whole history was left out [of coverage], and that is what needs to be taught to people.